Now you’ve met some of the bizarre and wonderful marine creatures that live in our bay, you have some idea of how ingenious they are at coping with whatever Nature throws at them. What they’re not good at is dealing with what people throw at them. Anything that is dropped on a beach, in a gutter, down a drain or on a street washes into our creeks and rivers and ultimately, into our bay. Our sea life is both precious and fragile, and as you’ve seen from this book they have more than enough to deal with without having to put up with any of our rubbish. And here’s the good news: It’s the little things we do that make a huge difference from individuals to industry. Put your rubbish in the bin, where it belongs. Keep your car properly serviced to reduce pollution. Take reusable bags when you go shopping. Put your cigarette butts where they belong. And for fish’s sake, clean up after your dog. When you visit the magical places of Port Philip Bay, take only photos and leave nothing but footprints. Think of all the tiny, mindless things we do everyday that make life so difficult for our fishy friends. 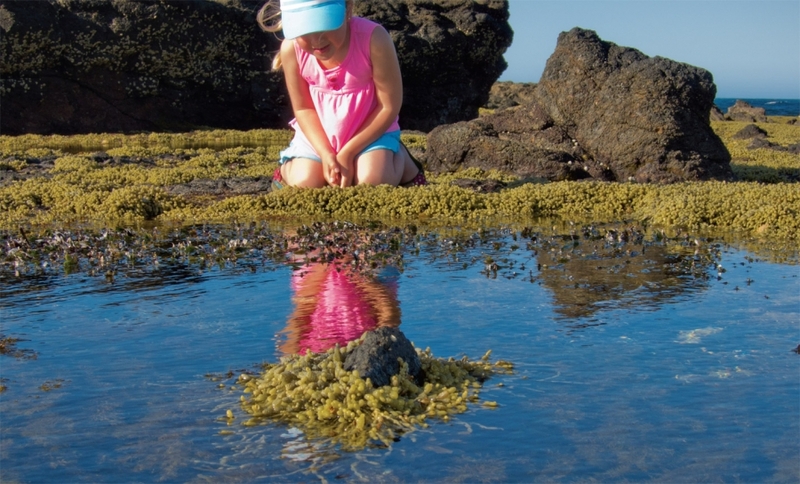 Now think of the tiny, mindful things we can do everyday that can ensure future generations can enjoy our fabulous marine environments and animals. If you want to report a pollution incident call EPA’s Pollution Hotline on 1300 372 842 – that’s 1300 EPA VIC. Check out the water quality at your local beach through EPA’s Beach Report at www.epa.vic.gov.au.